Do you want to unlock encrypted Word files? 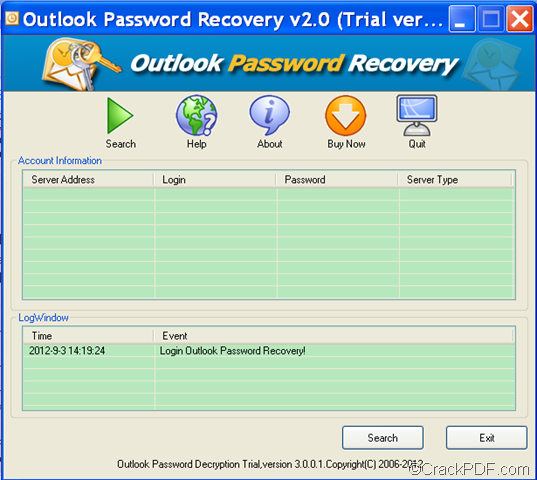 This article would like to describe how to use CrackPDF Word Password Recovery to accomplish it on Windows platforms. 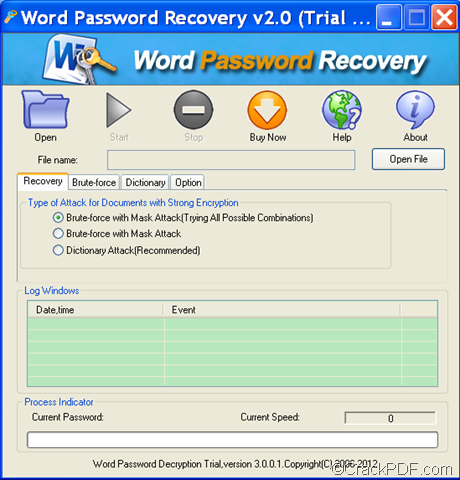 CrackPDF Word Password Recovery is a powerful Windows utility which allows you to unlock password protected Microsoft Word 2010/2007/2003/2000/1997 files in three different methods: dictionary attack, brute-force with mask attack and brute-force with mask attack (trying all combinations). The dictionary attack method will try all the passwords in the built-in or self-added dictionary, which offers a smarter access to unlock the encrypted Word files. Generally speaking, dictionary attack succeeds because many people tend to choose passwords which are short, single words in a dictionary, or easily-predicted variations on words. This method is highly recommended before proceeding to the other two methods. The following steps show you how to use this method to decrypt encrypted Word files. 1. 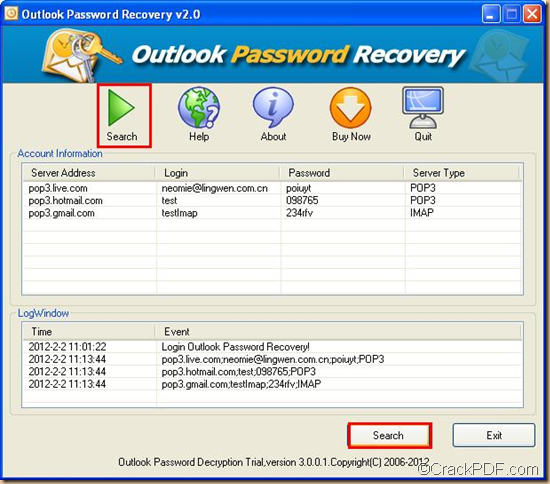 Please download the setup package of CrackPDF Word Password Recovery and save it in a place that is easy to find, such as your PC desktop. When the download is complete, please double click the .exe file and follow the installation wizard to complete the installation. 2. After you open the application, please add the encrypted Word document by clicking the Open button in the tool bar or the Open File button beside the “File name:” input box. 3. Please check the radio button of “Dictionary Attack (Recommended)” in the “Recovery” tab panel, and then click the Dictionary tab on the interface to open the “Dictionary” panel. Please see it in the following snapshot. After you check the radio button of “Smart Mutation”, you are able to set mutation count and max password length. After you check the radio button of “Add Dictionary File”, you can add a new dictionary by the clicking “Select Dictionary” button. After you check the radio button of “Default Dictionary”, you can specify a new default dictionary by clicking the “Select Default” button. 4. Please click the Start button in the tool bar to start to unlock the encrypted Word file. 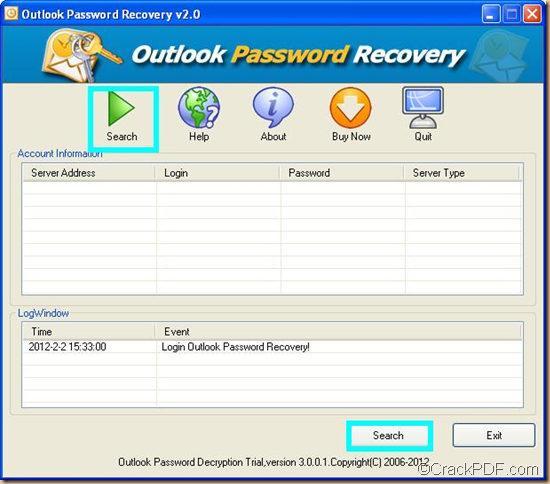 Via clicking the following button, you are able to download the free trial version of CrackPDF Word Password Recovery. 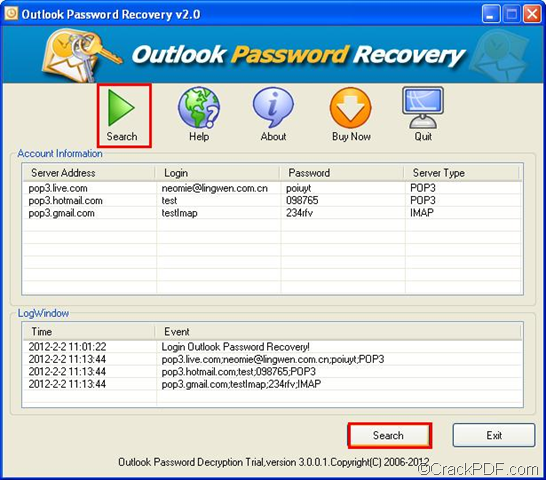 The following article details the steps of how to retrieve MS Word password using our recommended application CrackPDF Word Password Recovery. 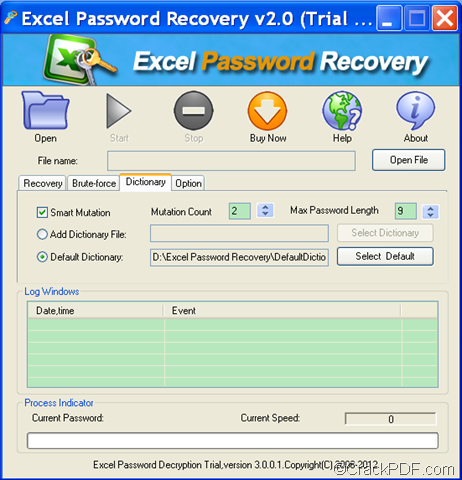 It allows you to recover password for MS Word 2010/2007/2003/2000/1997 files. 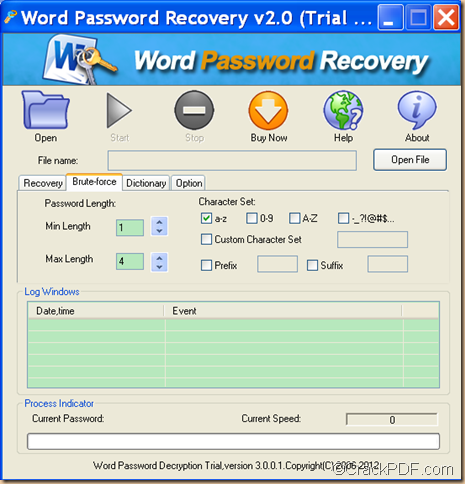 Firstly, please free download CrackPDF Word Password Recovery. After the download, please double click the installer and follow the installation instructions to install it. Then, you will see the main interface. Secondly, click the Open button in the tool bar of the interface to open the “Open File…” dialog box, then browse and choose the password protected Word file. You can also lick the Open File button beside the “File name:” edit box to add the Word file. Thirdly, please an attack method. It’s recommended to try the dictionary attack method before proceeding to the other two brute-force attack methods. If you can recall part of the forgotten Word password, the Brute-force with Mask Attack is the best choice. If you select Brute-force with Mask Attack, you need to check the radio button of “Brute-force with Mask Attack” in the “Recovery” tab panel and then click the Brute-force tab beside the “Recovery” tab to open the “Brute-force” panel. You can see it in the next snapshot. Min Length: you are able to set the minimal password length. Max Length: you can set the maximal password length. Character Set: you are allowed to set the password in pure numbers (0-9), pure lowercase letters (a-z), pure capital letters (A-Z), etc. You can also customize the character set. Prefix: you can set the prefix for the possible Word password. Suffix: you can set the suffix for the possible Word password. Lastly, please click the Start button in the tool bar to start to retrieve the Word password. 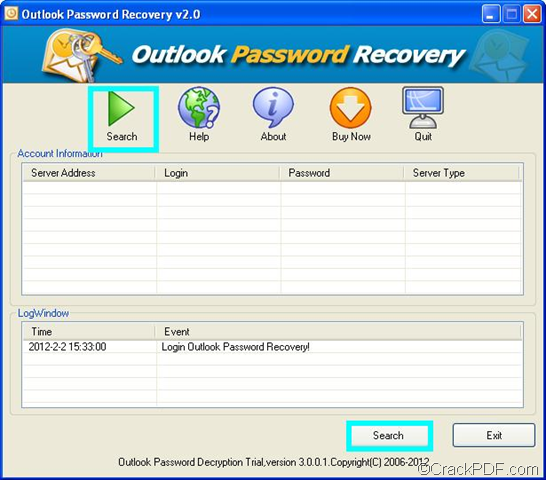 Now you are able to open the password protected Word document with the retrieved password. 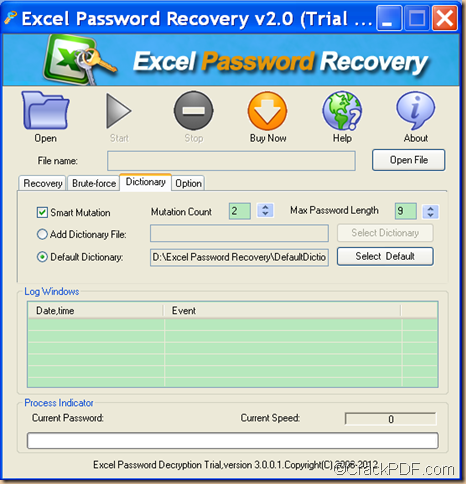 If you are interested in CrackPDF Word Password Recovery, please click the following button to download the free trail version of the application. How to decrypt password protected Word documents? 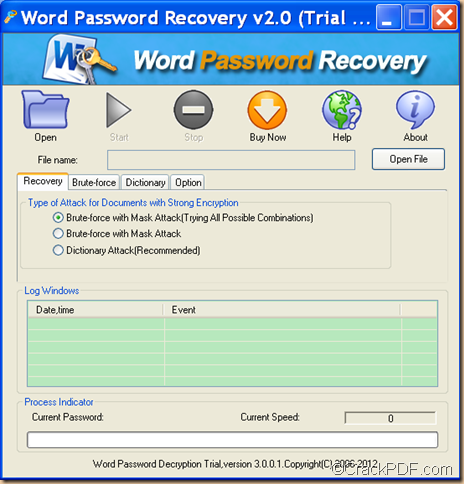 If you come across password protected Word documents, you can have a try of the application CrackPDF Word Password Recovery which can help you decrypt encrypted Word easily. Generally speaking, secured Word is protected with two types of password: user password and owner password. User password protects the files from opening. Owner password protects the files from editing, copying or printing. 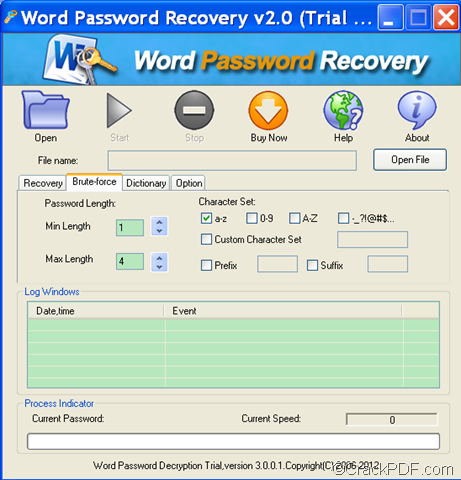 CrackPDF Word Password Recovery is a professional password recovery tool that allows you to decrypt Word documents protected with passwords. It supports to decrypt all types of MS Word 2010/2007/2003/2000/1997 files. Before using it to decrypt secured Word documents, you need to download CrackPDF Word Password Recovery firstly and install it in your PC for hand use. Then please follow the steps below. After open the application, you see the interface like the following snapshot. Please click the Open button in the tool bar or the Open File button to add the secured Word file. In the “Recovery” tab panel, there are three different ways to decrypt the Word file. Brute-force with Mask Attack (Trying All Possible Combinations): Try all possible password combinations. It can be used when you remember nothing about the lost or forgotten Word password. Brute-force with Mask Attack: Try passwords in restricted scope. It can be used when you can recall part of the Word password such as password length, character set, symbols, etc. Dictionary Attack (Recommended): Try all the passwords in the built-in or self-added dictionary. 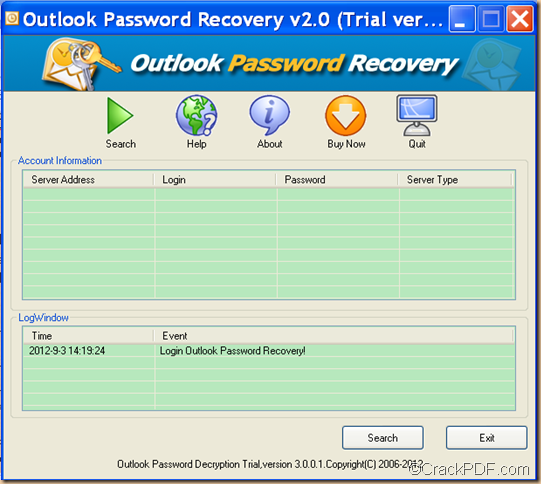 This attack is highly recommended as it offers a smarter access to the word password recovery. If you choose the default “Brute-force with Mask Attack (Trying All Possible Combinations)”, you can directly go to the next step. If you choose the other two, you need to click the Brute-force or Dictionary tab to set some parameters. In the “Brute-force” tab panel, you can set the password length, character set, prefix, suffix, etc. In the “Dictionary” tab panel, you can set dictionary, max password length, etc. Please click the Start button in the tool bar to start the decryption of the password protected Word file. 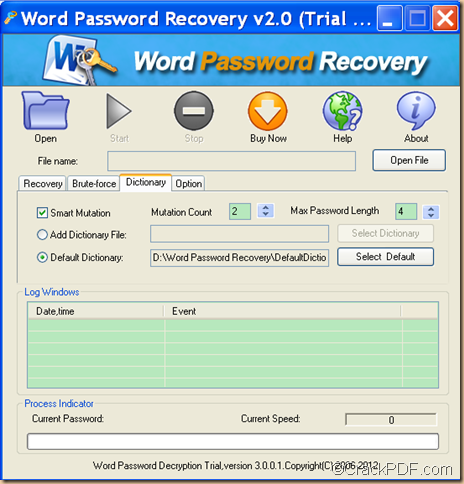 To try CrackPDF Word Password Recovery, please click the following button to download it. Do you want to remove PDF password on Mac? CrackPDF PDF Password Cracker for Mac will be a good assistant for you. 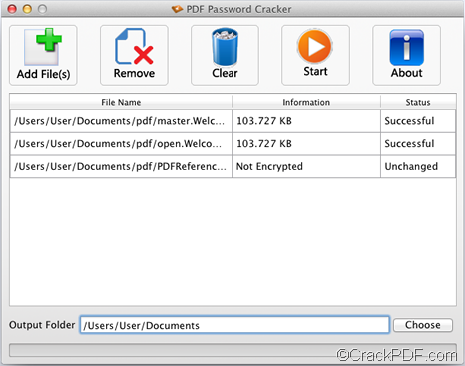 CrackPDF PDF Password Cracker for Mac is an application that can remove PDF permission password on Mac OS X v 10.5, 10.6, 10.7, etc. If one PDF is encrypted by only owner password (also called master password is used to protect the PDF from editing, commenting copying, and printing. ), the application can directly remove the PDF password and the corresponding restrictions. If a PDF file is encrypted with an open password (also called user password, is used to protect the PDF from opening. ), you just need to input the open password and then the application will remove both passwords at one time. Firstly, please install the application, and then you will see it in the Applications folder of your Mac OS X system. Run the application, and you will see the interface as shown below. Secondly, click the Add File(s) button in the tool bar and then select the password-protected PDF files. The imported files will display in the process file list. Thirdly, remove the password of PDF files. 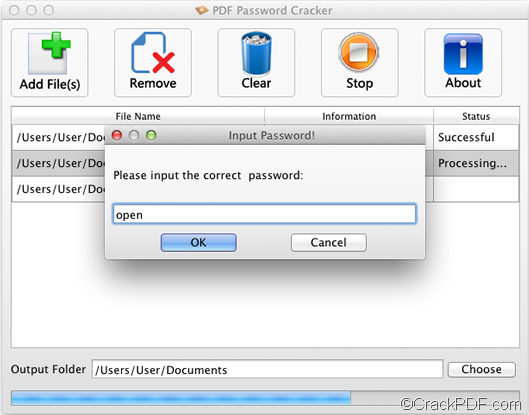 If the PDF file is protected by owner password or master password, the application will remove the permission password automatically. However, if the PDF file is encrypted by open password or user password, the “Input Password” window will pop up. You need to enter the correct user password, and then click the OK button on the “Input Password” window. 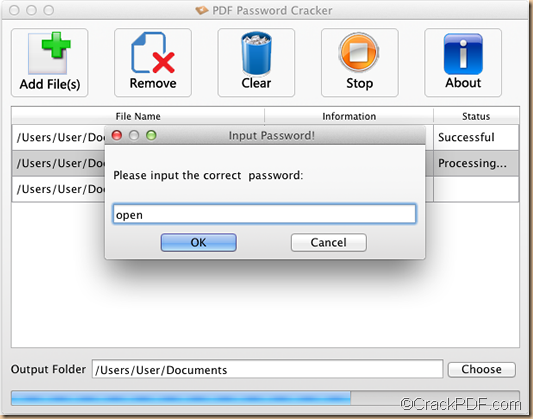 Then, the application will remove both the owner password and user password of the PDF file. 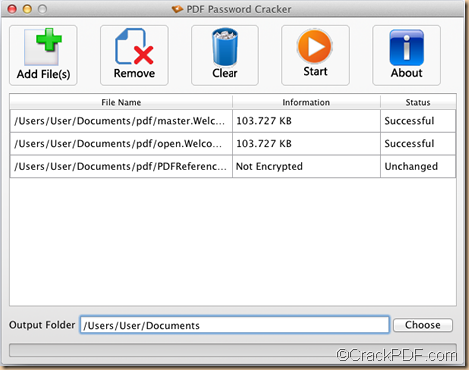 Via clicking the button below, you are able to download free evaluation version of CrackPDF PDF Password Cracker for Mac. Just have a try and you will find that it is a practical application.